Justin Bieber has had a lot of problems over the years. The list is numerous and pretty legendary. Of all the modern pop stars, he’s been the most troublesome, and now he’s on the comeback trail, making his first television appearance in a long time this morning during NBC’s The Today Show. He sang four songs, and his insanely devoted fans camped out overnight in New York City’s Rockefeller Plaza to get a good spot for Bieber’s song and dance act. However, there was a problem with the dancing part. 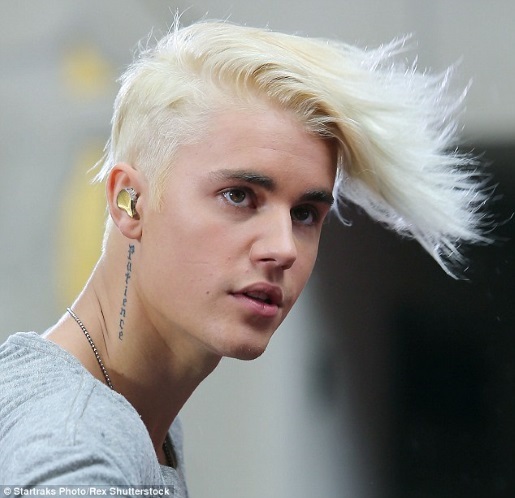 Justin Bieber was caught berating a camera man after a performance before a commercial break. Here’s the video. By Bieber standards, and by meltdown standards, it’s pretty tame. After all, he’s been accused of assault, arrested on DUI and resisting arrest charges, vandalized a neighbor’s house, and done all kinds of other nefarious things in the name of ditching his squeaky-clean appearance. Also, he got a ton of tattoos and apparently bleached his entire head. Now whether or not it works, well, that’s all up to the changing tastes of Bieber’s former fanbase, who have probably moved on by now. Still, there’s time to win over a whole new group of fans, and hopefully he kept his money, because he might be needing it for more legal defenses if this is part of his new persona.